When I was little, instead of having an imaginary friend, I had an inner narrative about being a totally different kid. 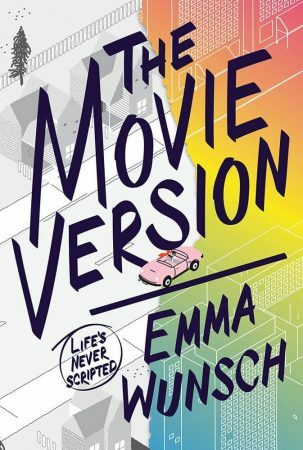 In the movie version of my nine-year old life, I’d often imagine that instead of Emma Wunsch, whose lunches were weird crunchy peanut butter on crumbly wheat bread, I was Jamie Johnson whose perfectly manicured mother only packed Jiffy peanut butter and grape jelly on crust-less white bread. In my mind, Jamie Johnson did everything Emma Wunsch didn’t: she was popular, amazingly athletic, and took awesome vacations to places like Hawaii and Spain where she frolicked on the beach with her super-fun family in matching white polos. As I got older, I realized that instead of just imagining Jamie Johnson, I could write about her! But when I started actually writing the movie-like scenes in my head, I discovered it wasn’t much fun to write about perfectly polo-ed Jamie Johnson. Although I spent a lot of time fantasizing about my imagined alter ego, in reality I loved reading about imperfect characters like Harriet the Spy and Ramona Quimby – girls who certainly never frolicked in Polo shirts on the beach. Ramona and Harriet broke the rules, made messes, got mad at their family and friends, and complained about their lunches. These characters weren’t anything like Jamie Johnson, but a lot more like the real me. Even though I haven’t imagined Jamie Johnson in a long time, I continue to see movie-like scenes in my head. These scenes aren’t full-screen, professionally edited productions, but more like small moments that happen when I’m walking my dog or waiting in a long line. For The Movie Version, I kept imaging the scenes where Amelia’s dad talks to her about her brother. Long before I wrote those scenes, I had a strong sense of the how the sky would look and the mood in the truck. What I love about this part of writing is that no one knows that while I’m walking my dog, I’m in a totally secret world in my head. You could drive past me as I walked down the street and have no idea that my mind is really in an old blue truck in a mall parking lot, far, far away. Even though my imagined, movie-like scenes might not make it into the final work they definitely help me get a deeper sense of my imperfect characters within their imperfect, chunky peanut butter on whole wheat bread, worlds.